CEREC has changed the way Chino Hills dentists perform patient restorations. CEREC stands for ‘ceramic reconstruction.’ It’s a 3D imaging and camera assisted design center that allows dentists to take digital impressions of patient teeth and use the images to create a virtual restoration. The images can be sent to a dental laboratory for fabrication or combined with an in-office milling unit for same-day restorations. 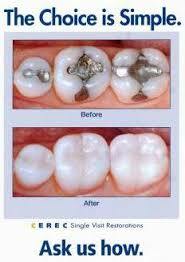 CEREC can be used to produce onlays, inlays, crowns or bridges without taking molded impressions. that CEREC is a German technology that was first developed more than 30 years ago? Today, CEREC is setting new standards in dentistry and constantly evolving to adapt to the demands of dentists and their patients. When you choose a EDINBURG MCALLEN dentist specializing in CEREC assisted restorations, you are choosing a dentist who is dedicated to accuracy, efficiency and durability. What should I expect from a CEREC dentist in EDINBURG?